Leaves are club-shaped, glaucus pale blue-green, sometimes with red tips. Very much an upright grower, 10-20 inches tall. 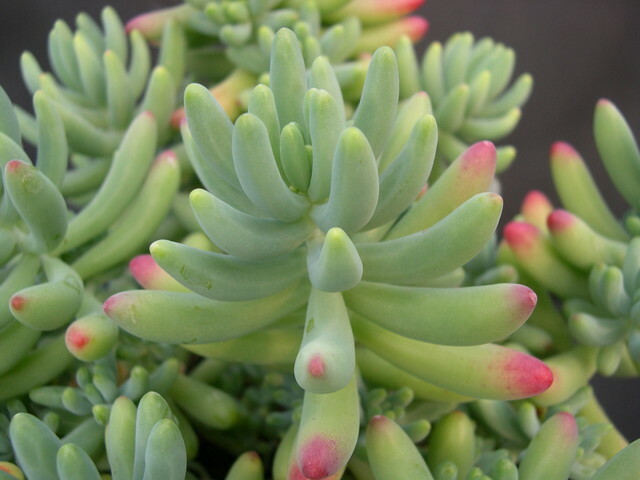 Sometimes the stems will bend down from the weight of their succulent leaves. Reliable bloomers of yellow flowers. Will tolerate some light frost if soil is kept dry. Good houseplant for a sunny window. From Mexico.